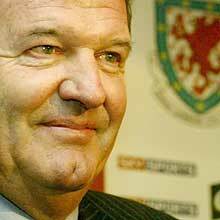 John Toshack is a man who knows a thing or two about being in at the deep end in the world of football. He’s played in the Liverpool side that became one of the most successful teams in history, as well as leading Real Madrid to La Liga. He also knows a thing or two about playing games with the press saying directly translating stock footballing phrases into Spanish that only make sense in the original English… “La Liga es el pan y la mantequilla y la nata es la Copa del Rey or ‘The League is the bread and butter and the Cup is the cream’. So his attack on Jose Mourinho is all the more peculiar. Despite winning two Premier League titles and three domestic cups during his time as Chelsea gaffer, Mourinho’s departure has been the cause of great debate with Toshack accusing him of ‘throwing in the towel’. What do you think of all that then? Did Mourinho give up with a whimper or was he pushed without a choice in the matter? Would you have liked to see more fight from the Special One, or should Toshack just keep his nose out? Perhaps tosh should concentrate on being a useless international manager as apposed to a useless pundit. He is hardly one to talk is he…. under Mark Hughes Wales where a team making leaps and bounds, since tosh took over they have looked quite honestly a shambles with a manager who refuses to play his best players because of personal grudges. I’m not a Chelsea fan (i quite despise them in fact), but may he without guilt cast the first stone and all! after 3 years they can now be called Jose’s. He left after the rot had set in.